Everybody knows the air in the desert is dry, but did you know the air inside your home can be even drier? For comfort and health, the humidity level in your home should be somewhere between 30 – 55%. To ensure your home’s air quality, the Environmental Protection Agency (EPA) suggests maintaining proper indoor relative humidity (RH) levels to reduce the effects of many of unwanted conditions associated with poor indoor air quality. These include an increase in mold and bacteria, nosebleeds, painful, dry skin and damaging static electricity. Additionally, too little humidity can dry out and warp your hardwood floors, impact indoor houseplants and ruin photographs and artwork. Las Vegas is dry, and having a whole house humidifier installed is an important step in increasing your family’s comfort and health. Call the expert HVAC techs at Sahara Air for a complete indoor air quality analysis, and to learn more about humidifiers for your home. We recommend and sell Aprilaire Whole House Humidifiers as they automatically deliver the perfect amount of moisture to your home. Installed directly into your home’s heating and cooling system, whole house humidifiers provide a level of comfort unobtainable with portable humidifiers, and require little to no maintenance. How do I choose a whole house humidifier? Evaporative Humidifiers: These humidifiers use forced air heat to deliver pure, vapor humidity. Installed directly into your heating system, these whole house humidifiers only work during the winter months, when you’re running your furnace, and are not ideal for the conditions in Las Vegas. Steam Humidifier: A steam humidifier is perfect for homes where the evaporative models are less practical, and can run independently of your HVAC system. This system uses boiling water to create steam, and is delivered to you home through your existing HVAC system. This is the type of whole house humidifier you should be considering for your Las Vegas home. Please call Sahara Air if you have any questions on whole house humidifiers, or to get a quote for installation. Our expert HVAC techs are happy to discuss your options, and to help you find a solution that will work with your budget and needs. 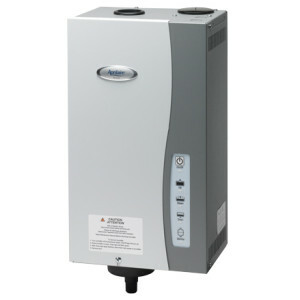 Call 702-796-9677 to learn more about whole house humidifiers.